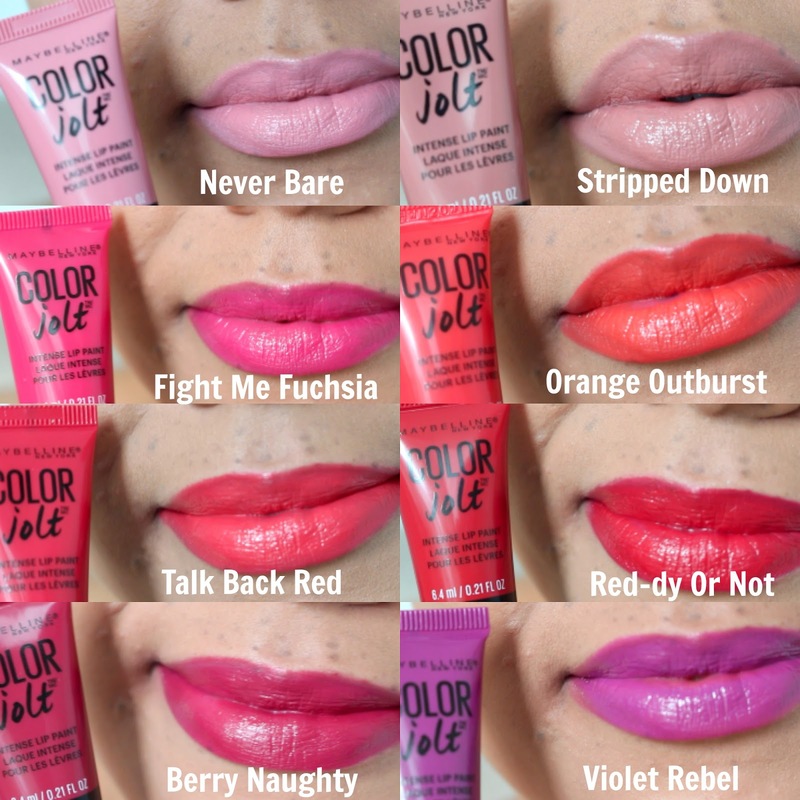 Maybelline Lip Studio Color Jolt Intense Lip Paint are a new product to their line and they are FABULOUS. 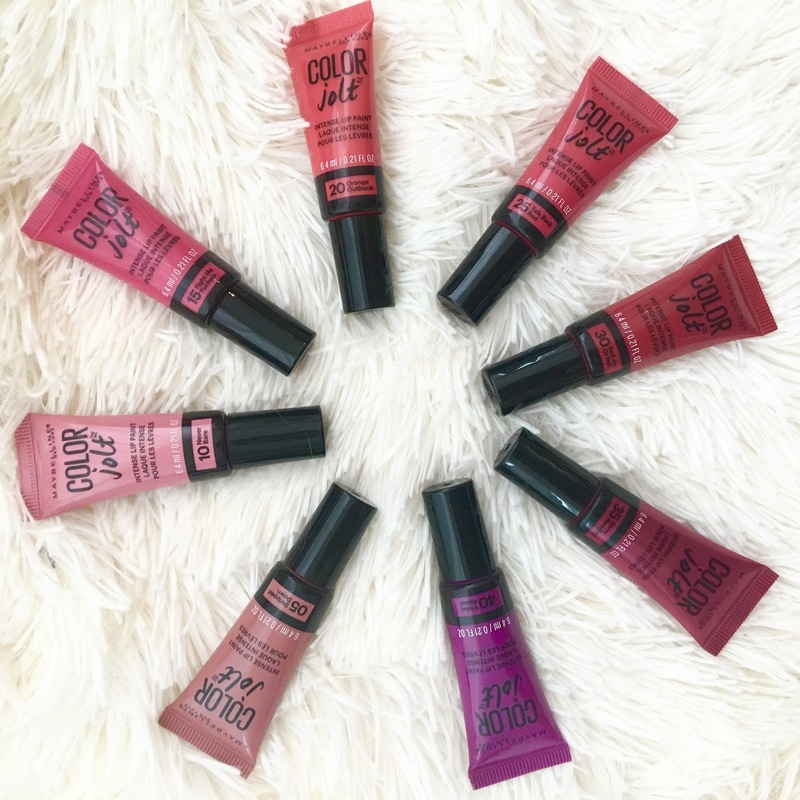 As a lip junkie it is hard to impress me, but these have such a wonderful formula and are incredibly moisturizing. I have a full review video if you'd like to check that out too! There are 8 shades available for approximately $10 at 6.4 ml of product each. I really hope they extend the range, these 8 shades are a great start but I'd love to see some more nudes and a some super bold shades similar to their Loaded Bolds collection. I picked up Stripped Down while on a recent trip to the US. I wanted to try the others but in all honesty I was afraid to try any of the deeper shades because they may slip around too much. Boy was I wrong! I received the rest of the shades as PR samples from Maybelline and the staying power is great. If you'd like them to stay longer I recommend applying with a lip liner and or blotting. The majority of the shades also leave a bit of a stain. As for the texture, these are super smooth and leave your lips feeling moisturized. They are not sticky, goopy or thick. They have a doe foot applicator that still allows for precise application. Overall, I absolutely love these. Beautiful formula, super moisturizing and great wear time! Have you tried? Which shade is your favorite! ?